I know, I know…lately this space has been more blahg than blog. I feel bad that I haven’t gotten to sit down and write, but it’s been one thing after another, and I find I’m spending more time in the car than on “land” (I liken my driving these days to the long sea voyages our ancestors once took. In fact, I’m considering putting a “widow’s walk” on top of my house, so my family can watch out for my approach from I-95—“Thar she blows!”). It’s hard to write with both hands on the wheel—well ok, one hand on the wheel and the other around a Starbucks Chai Tea Latte—and I’m pretty sure Blogging While Driving is illegal in Connecticut. I don’t want to end up as the example in some grainy public service commercial where I and my car are seen careening through an intersection or into a ditch and my last post—“I know, I know…lately this space has been more blahg than blog”—flashes on the screen with the tag line “Was It Worth It?” I guess that would all depend on how many “Likes” I’d get. But I digress. My head’s in such a spin that I keep having this recurring nightmare where Ben Carson and Donald Trump are vying for the top spot on the Republican ticket—I know, crazy, right? Wait? What? Seriously? Next you’re going to tell me there’s a new Star Wars movie coming out. Ha! Oh. I see. I have been out of circulation a long time. 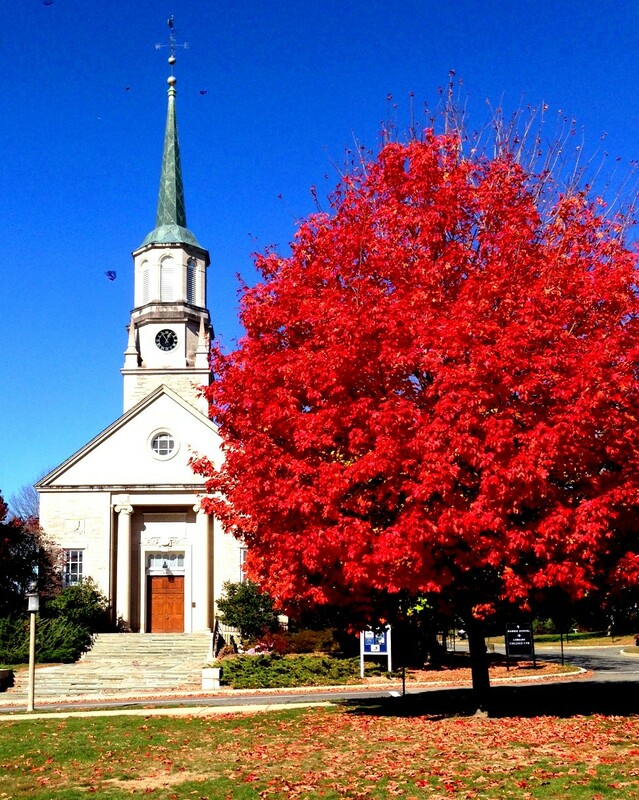 Well, while I reintegrate myself into the absurd side of life, I thought you might enjoy these beautiful autumn scenes from Connecticut. 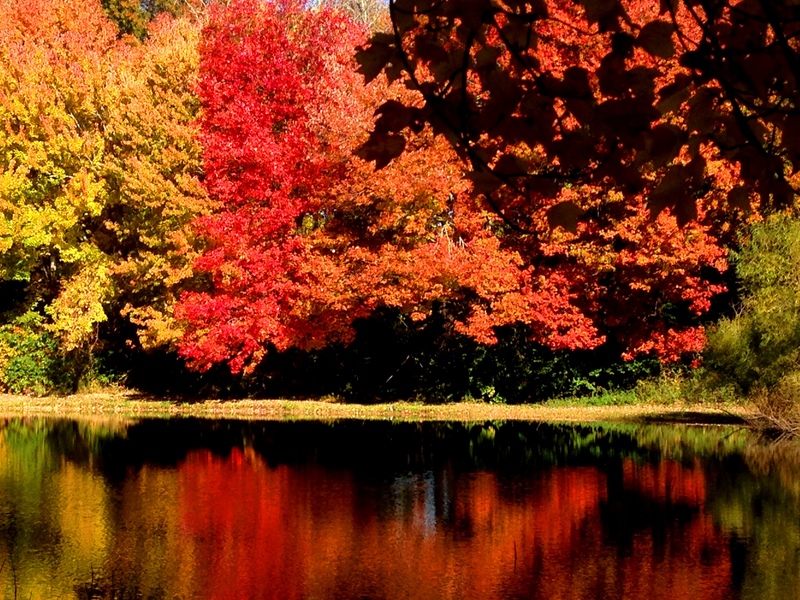 The drought we had this summer produced an awesome fall. Autumn reflections near the Waterford Library. 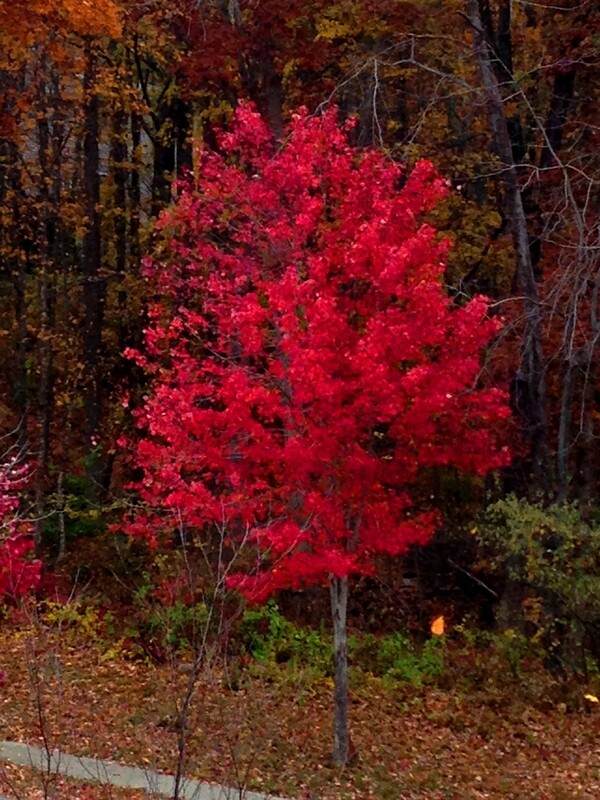 A fiery maple on the Connecticut College campus. 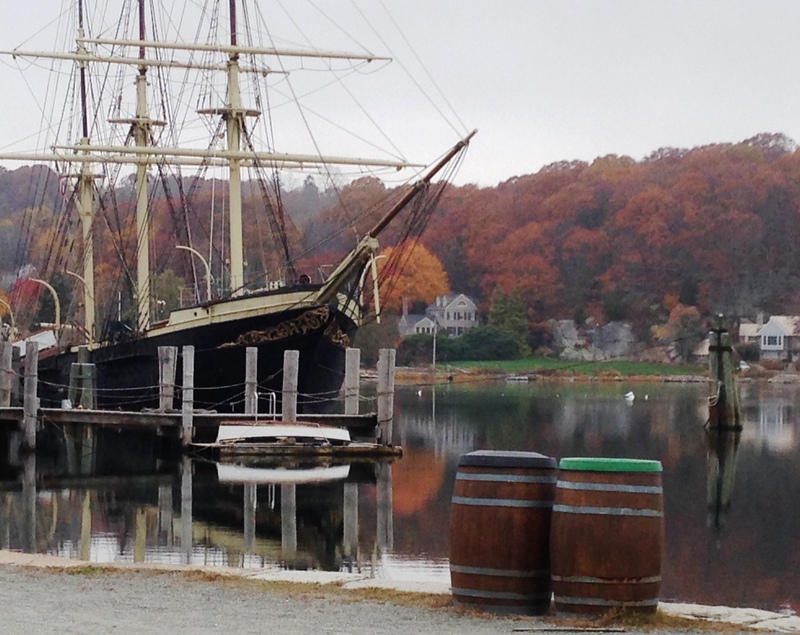 A misty autumn afternoon at Mystic Seaport. 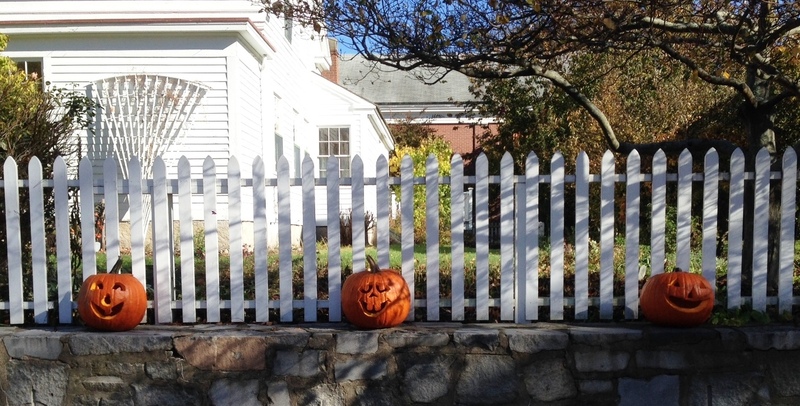 Three pumpkins greet visitors at Mystic Seaport. 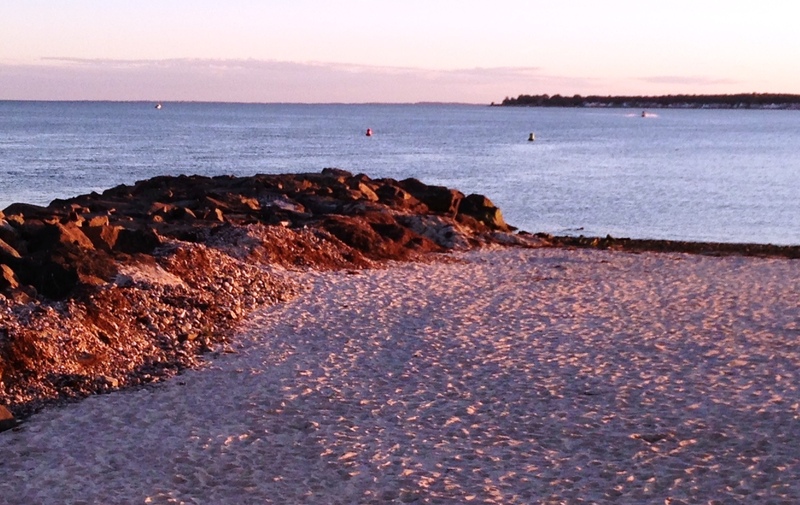 Fall is the perfect time to take a solitary beach walk in the purplish twilight. 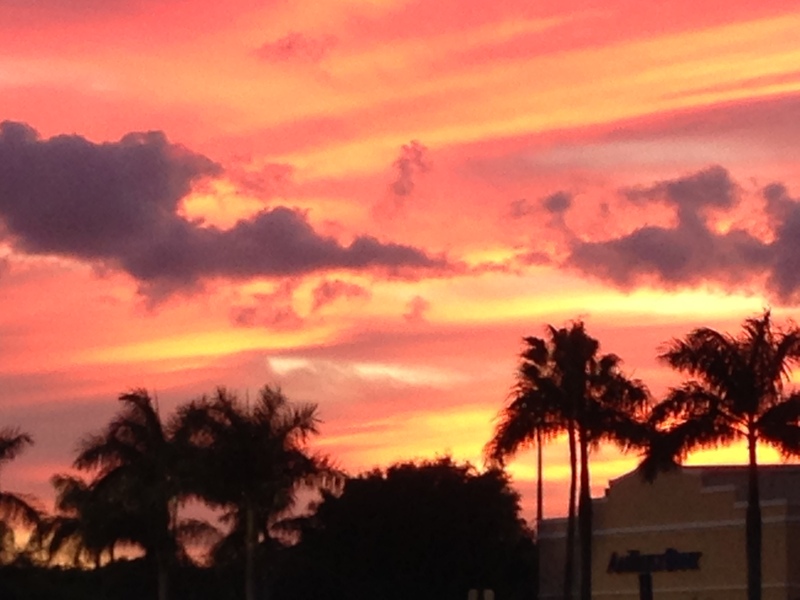 I know I rag on Hollywood, Florida a lot, but it does have beautiful autumn sunsets. 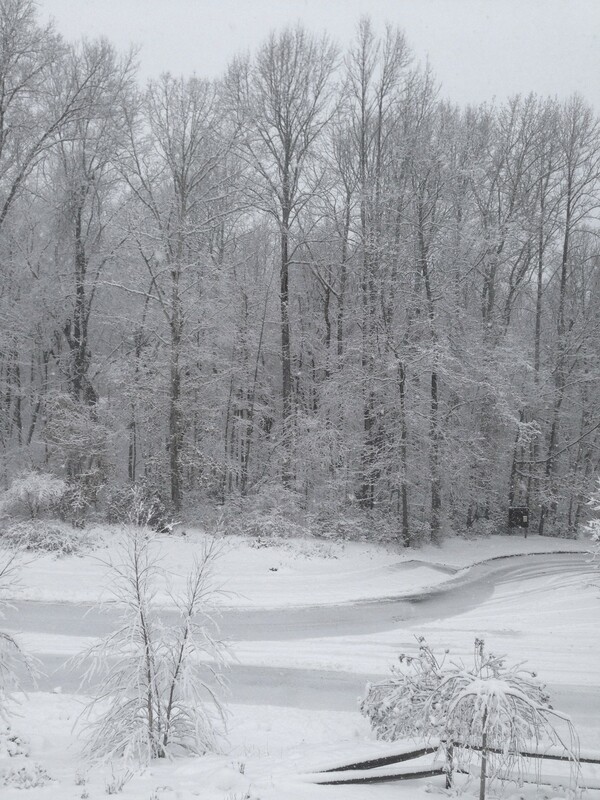 How nice to see this outside my window while I write. Enjoy the autumn pics, because you know this is coming.